The 10 mile Broad Street Run was first held on June 1 in 1980. The race was started during the "Road Running Boom" by the Dept of Recreation in Philadelphia as a way to promote fitness and community pride. The start was in the Logan area of North Philly at Broad and Summerville and ran straight down (south) Broad Street (thru City Hall courtyard) and finished Olympic Style in the 100,000 seat JFK (Municiple) Stadium in South Philly. (JFK was located where the Wells Fargo is today). The first year drew a litlle over 1,000 starters and only finishers were rewarded with a "Broad Street Run Finisher" T shirt. The race was run on a hot and sunny day with Mike Bradley (Bishop McDevitt HS/ California (Pa) State grad) winning for the men (52:07) and Jan Yerkes (Villanova graduate) being the first women to finish in a time of 63:45. John Jennings (2x Phila. Catholic League Champion in 1971 and 1972) finished 'unofficially' in 2nd place in 52:45 but he did not sign up for the race and did not count in the official stats. Many local high school and college champions from the Philadelphia area have taken pride in winning the Broad Street Run. (Dave Thomas, founder of this website finished 16th in 1980). The course has changed minimally since 1980, with the first 5 miles covering the same route. The race goes around City Hall Courtyard now and the finished has changed from JFK Stadium the first few years to the finish in FDR park in South Philly. Most recently the race has had a straight finish with runners finishing on Broad Street just inside the Philadelphia Naval Yard. Over the years, the race grew in numbers slowly with about 5,000 runners by 2005 . The race has become a "cult" exprerience with many runners training just to finish this one race each year.The Philadelpia Daily News was the race sponsor for years. Blue Cross has been a long time Sponsor of the Race and the race helps support the Cancer Society and many local chariites in the Philadelphia area (including Belmont Plateau Cross Country Park). Mayor (and later Governor Ed Rendell gave "high fives" to the runners as they past the Union League and runners were cheered on by crowds lining the sidewalk in South Philly. With the addition of computerized chips and wave starts, the race size has exploded with over 40,000 runner running the 10 miles "down Broad Street" on the first Sunday in May. The Race directors started with long time city recreation employee Joe Cook and Joseph Callan. Jim Marino of the City Dept of Parks and Recreation has been the race director for over 10 years and has grown the race to the largest 10 mile race in the United States and one of the best organized and city supported races in the United States. In 2016, there was nearly 40,000 runners starting the race in waves and many runners where turned away. The race is now known as the Blue Cross Broad Street Run and supports many local Philadelphia based charites and also annual maintence and support of cross country racing at Belmont Plateau Park. 1980 MIKE BRADLEY (Wyndmoor, Pa) 52:45 Bradley ran his senior year at Bishop McDevitt. Over 1000 starters in first year. 1981 JACK KRUSE (CHERRY HILL,NJ) 50:34 Kruse was All American runner for Glasboro State. Over 3000 runners in late May. 1982 JACK KRUSE (CHERRY HILL,NJ) 49:01 Kruse just out dipped Lee Edmunds (Bucknell grad) by less than a second to win. 1984 KEVIN MCGARRY (HORSHAM, PA) 48:23 McGarry was the Pa. HS 2 mile record holder for Arch. Wood in 1972. Kruse 2nd, G Fanelli-3rd. 1986 JIM VAN BLUNK (BALA CYNWYD, PA) 49:05 Van Blunk was a cross country and track champion at Pennsbury HS and St Joseph's. 1987 JIM VAN BLUNK (BALA CYNWYD, PA) 49:22 Van Blunk wins for 2nd year with Ringo Adamson 2nd and Mike Patterson 3rd place. 1993 KHALID KAIROUANI (MOROCCO) 47:13 Kairouani (residing in Acton, NY) was runner up in the Philadelphia Distance Run in 92. 1996 JOEL ONWONGA (KENYA) 47:27 Onwonga trained locally in Valley Forge Park and lived in Norristown. 1998 JOHN MWAI (KENYA) 48:44 Mwai repeats in win while edging out fellow Kenyan, Daniel Kihara by 4 seconds. 2002 SIMON WANGUI (KENYA) 45:16 Wangui runs the fastest 10 mile race ever run in US and 3rd fastest in the world! 2003 SIMON WANGUI (KENYA) 45:19 Wangui repeats and misses his record by only 3 seconds as BSR draws over 9,000. 2005 JOHN ITATI (KENYA) 47:59 Itati celebrated his BSR win by having his first cheesteak. Over 12,000 finishers. 2009 LINUS MAIYO (KENYA) 47:21 Maiyo won by by only 4 seconds over Worki Beyi. A record 23,000 runners finish. 2010 ALENE RETA (ETHIOPIA) 48:10 Reta becomes the first non Kenyan winner of BSR in 15 straight years. 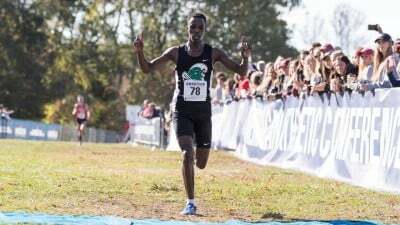 2018 DANIEL KEMOI (Elkton,Md) 45:43 Kemoi avg 4:34 pace to win race over Geoffrey Ngetich by more than 1 minute. 1981 SHEILA DALO (PA) 1:03:25 Dalo is one of 3000 runners to finish the 2nd BSR. 1983 ROBERTA ANTHES (ARDMORE, PA) 1:00:33 Anthes won her first 10 mile race beating Lena Hollman of Philadelphia. 1987 RENIE SHIELDS (Phila, Pa) 57:51 Shields wins race for 3rd time with Lori Adams of Bethlehem finishing 2nd. 1989 JANE DIMARCO (King of Prussia, Pa) 57:56 Over 4,500 runners competed in the race this year. 1990 JAN YERKES (BUCKINGHAM, PA) 1:03:45 Yerkes returns to the winner's circle 10 years after winning the first BSR. 1992 CAROL HAUX (Norristown,PA) 57:37 Haux, ran for Bishop Kennedy HS and Villanova and part of 2 NCAA XC Champ teams. 1994 LORI ROCH (Colorado) 57:14 Roch and her teamate Kirsten Russell (2nd place) ran Penn Relays 5,000 3 days prior. 1997 ELAINE VAN BLUNK 54:45 Van Blunk repeats win in BSR after finishing 4th in Penn Relays 10,000 a week prior. 2000 ANASTASIA NDEREBA (KENYA) 57:10 Ndereba is the sister of 1999 champ of BSR and won the race on very hot/humid day. 2002 COLLEEN BYRNE (Pottstown,PA) 55:25 Byrne is a former hurdler for Villanova and trail and adventure runner. 2003 KATE FONSHELL (ARDMORE, PA) 56:41 Fonshell, former Villanova champion, won Olympic Tr and competed in 10,000 in 96 OG. 2004 MARIA BUSIENEI (KENYA) 57:32 Busienei, 18 yrs old, was never challenged. Vicki Huber, Villanova great, finished 6th. 2006 OLGA ROMANOVA (RUSSIA) 53:21 Romanova, who trains in Maryland, only finished 14 seconds off the Ndereba record. 2007 NAOMI WANGUI (KENYA) 53:43 Wangui wins the race defeating 2006 BSR champ, Romanova, by 31 seconds. 2008 JANE MURAGE (KENYA) 54:16 Murage was running in her first race in the USA. Local runner, Abby Dean was 3rd. 2009 JANE MURAGE (KENYA) 53:31 Murage, who is based in Royersford, Pa improved on her last year time to win. 2010 BIZUNESH DEBA (ETHIOPIA) 55:13 Deba won by 9 seconds. First Philadelphian, was Martha Brown who was 4th in 58:21. 2012 ESTHER ERB (Blowing Rock, NC) 55:28 Local Master, Doreen McCoubrie (50 years old!) was top master and 13th overall. 2013 ASKALE MARACHI (ETHIOPIA) 53:46 Ethiopa swepte both men and women this year as Marachi earned $3,000 for the win. 2016 CRYSTAL BURNICK (SKIPPACK,PA) 57:07 Local runner, Burnick, won by over 50 seconds over Emily Giannotti of Ephrata, Pa.
2017 ASKALE MARACHI (ETHIOPIA) 53:48 Former champion from 2013 wins again coming close to course record. 2018 SOPHY JEPCHIRCHIR (Chapel Hill, NC) 55:43 Jepchirchir wins her first Broad St Run by over 30 seconds ahead of Zipporah Chebet.